Let’s face it: Mozilla Thunderbird is unavoidable. The reason it is so popular is that the choice of an actual email client other than Outlook or perhaps Lotus SameTime on Windows is actually quite reduced, aside the blue bird and perhaps the Pegasus mail. Anyway, Thunderbird occupies a strategic segment, so to speak, in that it is really multi-platform and caters to most peoples’ needs. I did use Thunderbird and in many ways I really like it. I do have two real issues with Thunderbird though. The first one has nothing to do with the software itself: It is that we -and by we I mean almost everyone I turn to- don’t know anything about the future of Thunderbird. What Mozilla plans to do with it, how the project works, where it goes is unclear. Thunderbird is being maintained, and before you ask, no, the Document Foundation will not develop Thunderbird in the future. The second issue I have is that because of some subtle combination of factors mostly related to the mbox implementation in Thunderbird and the general application performance, the email client can be an absolutely awful resources hog. In fact, for anyone relying on email client with large or even huge email boxes, I would argue that Thunderbird is not the best option, even if its extensibility seems to keep some portion of its user base happy. Basically, Thunderbird will do the job but if you’re down to three different emails and a few gigabytes of inboxes your computer will turn into an oven, and a slow one at that. Be it as it may, Thunderbird’s value, I think, lies in its ability to address almost everybody’s needs without being “feature complete” in any way. At this stage you may be thinking that if I call Thunderbird a resources hog then Evolution must feel like crushing an ipad under a truck. Well, I have used Evolution intermittently since 2003(!) and I have seen it, er, evolve. Yes, Evolution was terrible for years in terms of resources and stability, although the features it offered and still offers are unique on Linux. After Gnome switched to its 3.x.x branch however, Evolution started a major rewrite and things improved considerably. I have been using Evolution for over a year in 2013. I know that Red Hat invested more resources in it after a few other hackers left. Surprisingly enough Evolution is faster and lighter than Thunderbird for large inboxes and multiple accounts. It also handles all sorts of mailbox formats and relies on the maildir format as a default, which does make a difference with large inboxes compared to mbox. One misconception I have also seen is that Evolution only handles one inbox. It is not true, you do have one global inbox for POP and local email accounts and inbox folders but if you use IMAP on several of your emails you will use several inboxes and of course several accounts. Feature-wise, Evolution offers what you expect for a corporate environment, meaning not just mail, but an actual working calendar, contacts management, tasks, memo, meeting planning, etc. If you do not have specific needs for calendaring and do not handle a lot of emails, then Thunderbird might become a more compelling option, although that is not really a really clearcut choice. Readers of this blog will remember that Claws is my main email client, so don’t expect me to criticize it… or wait. I love Claws. It handles my gigabytes of email graciously, has built-in search that’s faster than anything I’ve witnessed (Thunderbird does not come close to that), handles the MH and the mbox formats like a charm… what’s not to like? Indeed, not much. True, the interface is not the most modern although a careful choice of iconsets can definitely improve the looks of Claws. On the other hand the interface is not antique and is very clear. Where I see limits is not in Claws’s mail handling but on pretty much everything around it. For email clients, this means at least contacts management and calendar. On these two fronts, Claws Mail is not on par with Evolution or Thunderbird. Let me explain. When it comes to contacts and addressbooks, claws is doing relatively fine, especially on fields completion and contacts search; but the actual interface of the addressbook and the management of contacts is rather poor, so poor in fact that the Claws Mail project has started a rewrite (the first one since their fork off Sylpheed) of the contacts management module. The other area is the calendar. There is no calendar in Claws officially but there’s the vcalendar plugin. Help is very welcome in improving it feature-wise, but in making it actually usable. There’s a bug with recurring appointments that’s been driving me crazy for something like 3 years now. What can you do with this calendar? Receive invitations, send them, getting notifications. All this works if they’re not set as recurring events and if you like austere interfaces. Do not expect more from vcalendar though. It is not entirely clear what is Kontact and what is Kmail beca use these two are very well integrated. I do not use Kontact on a regular basis: I’ve tried it and tested it several times. 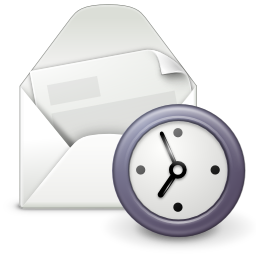 It has a very broad range of features which sets this KDE email client somewhere on par with Evolution but I have not tested its performance entirely. My problem with it? I don’t have a problem per se, I have seen Kontact working in conjunction with the Kolab plugin and the data sync is impressive. But I don’t use KDE regularly, and don’t intend to use it in the forseeable future. Geary: I like its slick look but as far as I can see, the scope of features is just not what I’m looking for. It must be stressed, however, that Geary is currently undergoing heavy development, so who knows what will be the outcome in, say, one or two years. Balsa: a very old email client, a bit like Claws. I’ve never tried it though, but I’m interested in opinions on the subject. Trojita: I’ve heard really good things about this Qt email client; I’ve never used it though but I’ll give it a try soon. What’s your take on email clients on Linux? I love the diversity and range of choices available, but feel a bit disappointed by the lack of awareness coming from Linux users about these projects. I hope this post can help improve things a bit! 22 Responses to "Linux email clients – the road less traveled"
Many of your readers may be using a local mail with a generic mail server….. however there is a large quiet group that needs better MS Exchange integration. Not just Exchange for email but scheduling meeting/resources, calendaring and contacts. I continuously think could I switch to more OSS on Windows or even later consider Linux. My answer at this point is no…not until MS Exchange is handled better. Exhchange Webmail works but again that is a Client vs Webmail discussion that is different. I hope more can grow in that areas. Absolutely! If I had any development skills, that’s where I’d direct them. At the start of the year, I made the decision to ditch as much MS Office for OSS. LibreOffice has filled most of the gap, but not the need for a decent calendar. The best optioned has turned out to be Mozilla Thunderbird with the Lightning add-on. Exporting and then importing my calendar file took some trial and error (could be more user friendly!) but it worked. I used Sylpheed for a while before restoring my KDE system and it seemed to work OK. One might argue that it’s nothing fancy, but e-mail clients don’t really need fancy user interfaces. One very important point in corporate environment or larger organizations like universities is that the email/groupware client needs to be platform-independent. That’s Thunderbird + Lightning. There are no real alternatives (Evolution and Kontact are not well supported on Windows). Given the power and market position of Thunderbird, it is really necessary that more developers come in for Thunderbird/Lightning’s future. I hope that MailDir comes as well as the new overhauled address book. Also MS Exchange compatability would be good. I hope for that! Trojita is absolutely awesome on with large IMAP folders, certainly worth trying. Kontact has an enterprise version that is available on Win/Mac/Linux and in combination with a Kolab server, it is absolutely the very best, especially if you also need calendaring, address book and the other functionality. Unfortunately, KMail can be less than perfect with non-Kolab servers, for example, the calendar doesn’t work very well with Google Calendar. And in any case – use the latest version, 4.12 is the minimum in terms of stability and 4.13 fixes many of the performance issues it had. Last but not least – Kontact runs on windows and Mac. It is rather crazy to assume you shouldn’t use it if you are a GNOME or Enlightenment or whatever user on Linux… You’re not locked in to desktop specific applicaitons. The real answer, I suspect, is GMail. Gigantic user base, including in offices, and I’ve found it the first email client interface I actually like using (I previously used pine, elm, mutt and Thunderbird). This is not to say everyone loves GMail’s interface, because observably they don’t. However, its userbase is sufficient that its absence in your list is odd. If Thunderbird had a GMail-like interface I’d consider doing my email locally again. I’m using GNOME on Arch Linux and decided to give Evolution a try. So far everything’s alright, private and corporate (Exchange) mails under one umbrella. Nice. GMail? Used it, it is very nice, but no option anymore. As explained in the post gmail is an email service or provider not an email client. Do you see the difference between the two? To answer your question I do like gmail’s quality of service but pricacy wise it has become a no-go. Of course I do 🙂 But leaving it out of the list is like “here’s a list of Linux email clients except the one a significant proportion actually use”. It’s a noticeable omission, and could do with actually being addressed. You obviously don’t then 🙂 . Please read the first paragraph of the post again. Also note that obviously Gmail is accessible through an email client. I would have to agree with Charles and leaving them off the list. Gmail alone is not an email client and not what was being described or what is still needed to be improved in the OSS area. If Gmail was “client” then one would also have to include MS Exchange (webmail), Yahoo, Hotmail etc. That is not what he was going for. Building on this distinction webmail vs desktop client (although not the original topic, sorry Charles): one thing I think is a pity is that as far as I understood, using IMAP (or any other protocol I think) it is not possible to use with any email clients the system of labels offered by GMail. I personally do not use GMail because I prefer desktop clients for a variety of reasons (notably to be able to read my mails even without internet connections, and for the fact that I like to have a local copy of my mails saved on my PC, and not rely on an external partner to believe they are safe). Now, if I want to archive a mail, I have to choose a folder to save it in. If the email is about my vacation in France with my wife C. in 2013 and I want to keep it, I have to choose a folder: 2013? C.? Travel? France? Although extensive tagging is not needed for all emails, I would like to assign tags to my archived emails (which could result in seeing them in several folder locations without having several copies of the same email on disk). Thanks for your article Charles. I am now using Thunderbird, but hearing Evolution has improved, I might give it a try. Actually I realize that what I said just above is probably not true: I think Geary does work with labels. I tried Geary but as it is now, some details turn out to be show stoppers to me (one of them being the fact that I usually prefer to see emails chronologically as they were received, but I think Geary display them only as conversations). I’ve been using, first Ubuntu, then Kubuntu, now openSUSE, and Evolution is definitely the winner when interfacing with the latest MS Exchange servers (2007 and up). There was no fancy tricks required, no additional services (DavMail) required, just an add-on in the package-manager. A proper email/contacts/calendar client was the make or break for me when I decided to move away from Windows on my laptop that I use for work a couple of years ago, and I will never look back. I would love to use a client more native to KDE, but for now Evolution (Gnome based) does the trick, 120%! Paul, Kontact for KDE should be what you’re looking for: it has feature parity with Evolution and offers other stuff too. Its general philosophy is a bit different though. Been using Evolution succesfully for years and I will in the future also. I like the integration of a calendar and adressbook (Google and local). Thunderbird is ok but the plugin structure can be unstable.